Norsk Hydro attack "cost £25m"
The company is still working on bringing all of its systems back online. 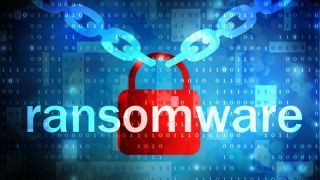 Last week, Norwegian aluminium company Hydro was struck with a ransomware attack, and now we have more information about the costs of the incident. According to the BBC, the attack had cost the company $33.6 million (some 300 million Norwegian kroner). The company said it was bringing back its affected systems slowly, adding that this cost estimate was ‘preliminary’ alluding that it may be subject to change. Allegedly, the bulk of the costs fell in the Extruded Solutions division, which makes aluminium facades. This division has had to reduce its workload by 20 – 30 per cent, bringing the production of doors and windows to a grinding halt. Other machines, usually managed by computers, have had to be controlled manually until the systems were restored. The BBC says that there was a good side to the story as well, as cybersecurity experts praised the way Hydro handled the situation. Kevin Beaumont called it "the best incident representation response plan I've ever seen", and Dale Paterson, called the latest Hydro update "tremendous". The attack happened some time on Monday last week.